Amenities: Yoga, infinity pool, spa, free breakfast, restaurant, kitchenette, free internet, parking, suites. Anamaya is a boutique hotel and yoga retreat located in Montezuma. It is a beach town which is located in the southern part of Costa Rica. This region is known as one of the areas on earth which has people with longer life span. The yoga retreat is just five minutes away from the beautiful Montezuma falls. The edge of cliff on which the resort is located gives a picturesque view of the Pacific Ocean. The literal meaning of “Anamaya” is “good health” which is the main vision of this resort. Various activities like Yoga Teacher Training courses, Yoga classes, retreats and spa services are centered around the unmatched physical and mental wellbeing offered at Anamaya. Apart from other activities, the resort offers entertainment options like excursions to local areas, circus and fire dancing experiences to add to the exotic experience of stay at the resort. Yoga Teacher Training and Certification courses are offered here. The course is run for four weeks. There is a yoga deck which gives view of the Pacific Ocean. Yoga enthusiasts enjoy the panoramic view and practice daily sessions of yoga on the deck. Guests can also experience rejuvenation of mind and body by availing spa services at this resort. They can choose from full body relaxation massage to Swedish massages. The services offered are reasonably priced and convenient with 30 minutes sessions starting at $30. The food is organic with options like gluten-free, vegan and raw. In combination with these options, guests can also avail fish and chicken. This place is a perfect getaway for people who want to experience the fitness of mind, body and soul. It is an ideal destination for people who have been bogged down with their working schedules. Events like classes, movie shows and lectures are arranged for guests thus providing multiple entertainment options. The resort invites eminent dancers, acrobats and musicians from all over the world. It is not only a chosen destination for yogis and health enthusiasts, it is also preferred for wedding celebrations. With its amenities and location, this place provides an apt environment for newly-weds and honeymooners. Located directly above the Pacific Ocean, on the Northwest Coast of the Guanacaste region, Villa Cortes Retreat Center is an exclusive private secluded property. 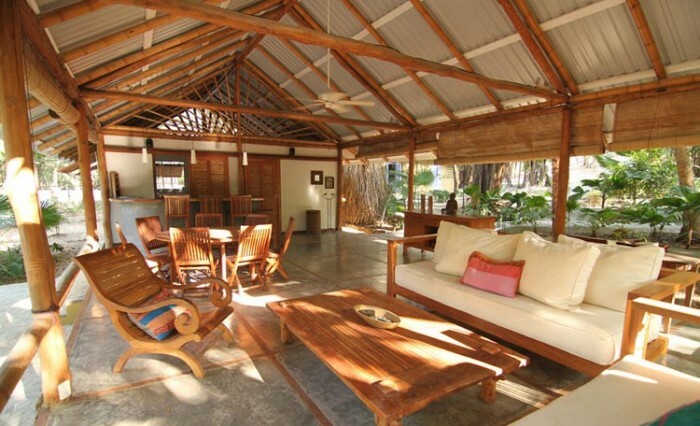 Situated in the town of Nosara on Playa Guiones, this property is ideal for those who want to enjoy family getaways, surfing, yoga, or want to enjoy private weddings. The name Cortes is taken from the native Cortes tree that is prevalent throughout the surrounding area. This place is like a Paradise for the surfers as it is close to the Playa Guiones that is famous for its reliable year-round surf and spectacular sunsets. 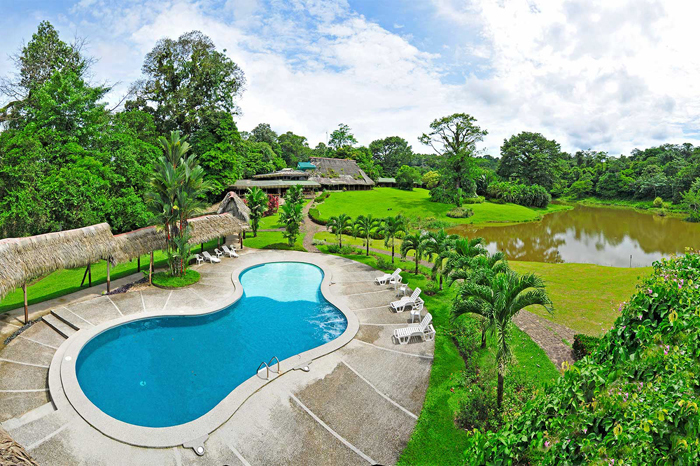 Hotel Hacienda Sueño Azul is surrounded by lakes, rivers an exuberant vegetation and set in the middle of the forest. In this location you will enjoy maximum relaxation that you deserve as well as will enjoy diverse activities at the fresh air. This hotel ensures its guests get service of the highest quality. People who are seeking a place to take an excursión, workshop or Yoga class which has a unique rustic elegance style, they can choose this hotel. This hotel is different from other traditional hotels and it is perfect blend between nature and comfort. This hotel provides all the modern facilities and amenities though it has been designed with a rustic touch. Milarepa Hotel is located just north of the Cabo Blanco National Park on the unspoiled southern tip of the Nicoya Peninsula, Costa Rica. People who are seeking a place for enjoying tropical escape, they can choose this hotel. This hotel is also ideal for couples who want to enjoy romantic getaway and also perfect for family getaway and a memorable vacation with a group of friends. This beachfront property overlooks amazing views of ocean and unforgettable sunsets. This hotel is set amongst the rainforest and coconut palms at the foot of the Pacific Ocean that makes it a heavenly place for the nature lovers. Located only 250 meters from the best beach in the whole Santa Teresa region, Nautilus Boutique Hotel is a family owned and run full service boutique hotel. If you are planning for a surf and wellness vacation, you will find this hotel perfect. This hotel is also an ideal location for small families, groups and couples. This hotel offers sophistication, yet simplicity. 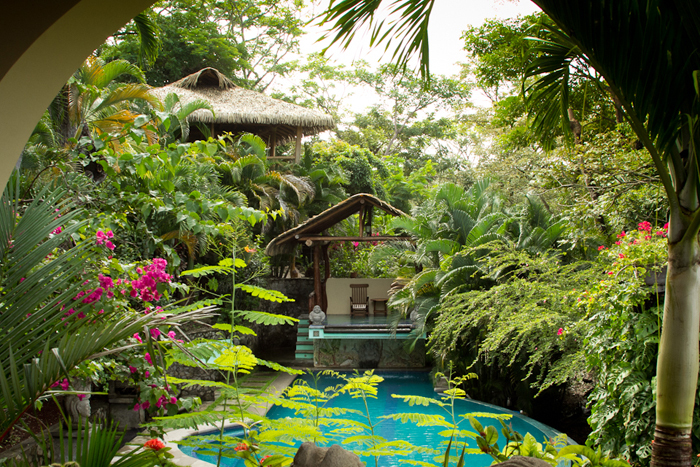 Surrounded by lush tropical Jungle, this hotel allows its guests to stay close to the nature. Though the hotel is set in a private and secluded area, within walking distance from this hotel you will ind all the major facilities such as shops, supermarkets, restaurants and also other attractions of the area. 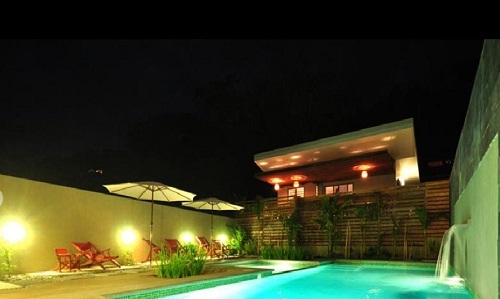 Hotel Magellan Inn, a charming boutique hotel, is surrounded by verdant jungles. 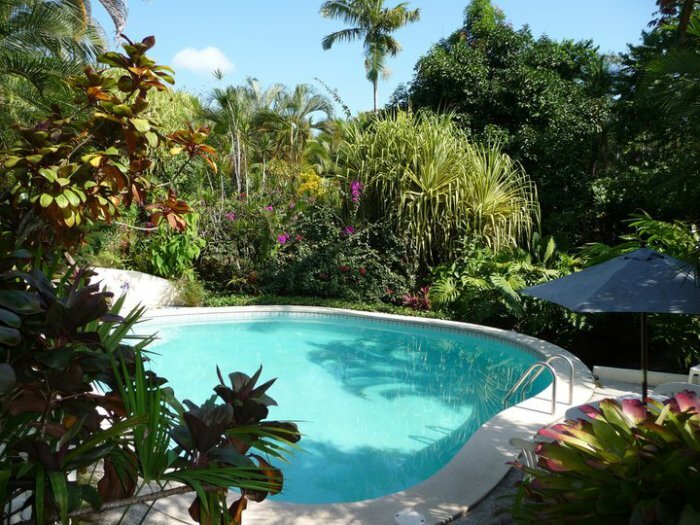 This hotel is located a small and laid back village, Cahuita, along Costa Rica’s Caribbean coast. Nestled 27 miles (43 km) south of Puerto Limon, this boutique hotel offers vacationers a comfortable abode in a tropical jungle. If you are seeking a place for enjoying a tranquil retreat amidst dense tropical jungles and enjoy the clean ocean breeze, you can choose the Hotel Magellan Inn. This hotel is also ideal for those who are planning for a family getaway or a romantic getaway. This place is just like a Paradise for the nature lovers who want to enjoy staying in a natural setting and to be connected with the nature and rejuvenate the body in a midst of tropical abundance. 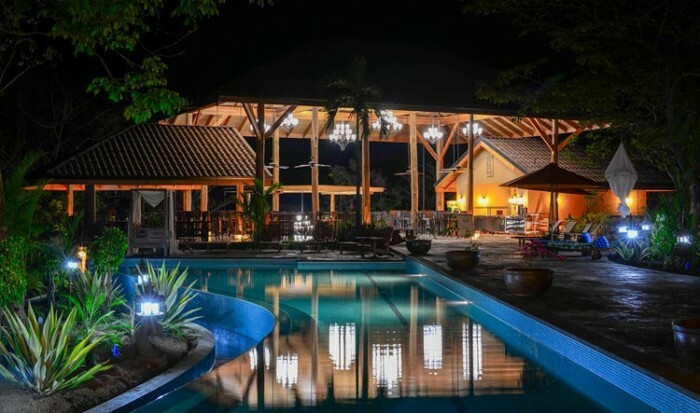 During your vacation at this hotel, you will enjoy observing the slow-paced lifestyle and culinary expressions of the local people and will also enjoy a memorable vacation in a Pura Vida style. The surrounding area has some lovely beaches and there are also plenty of options to choose from and enjoy a adventure and fun activities. 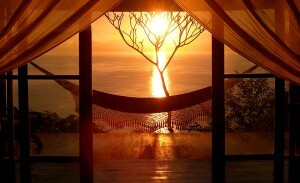 Harmony Hotel is situated on the gorgeous Nicoya Peninsula, on the northern Pacific coast of Costa Rica. Opened in 2004, this hotel is perfect for the nature lovers who are looking for a quiet tropical vacation and deep relaxation and also ideal for those who want to enjoy some health retreats. 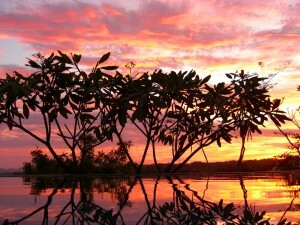 This hotel has a basic aim that is to create a lush tropical paradise for those who come to visit. Adventure lovers will also find this place for enjoying a memorable vacation. As this hotel is nestled close to a pristine surf break that has consistency in waves on Playa Guiones, this hotel also attract many surfers of all level all around the year. 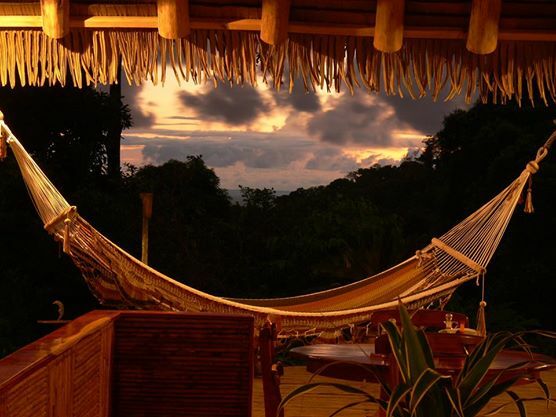 Horizon Yoga Hotel is perched on a hill-top, on one of the most secluded gems of Costa Rica. Situated in the beautiful Nicoya Peninsula, in the town of Santa Teresa, this hotel overlooks amazing view of the Pacific Ocean and Santa Teresa Beach. At the time of staying at this hotel, you will get delighted by the hospitality of its owners and staff. They will ensure you enjoy a comfortable stay and have a life time experience. 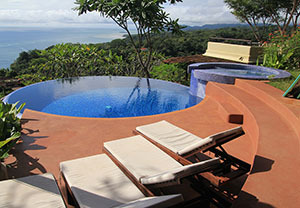 You will get an amazing Costa Rican experience along with divinity. This hotel is ideal for those who are seeking a place for enjoying yoga retreat as well as a memorable vacation close to the nature. At this hotel you will enjoy elevated Yoga sessions, workshops, wonderful view of the surrounding area and sunset as well as feel the sea breezes on your skin that will make you feel refreshed. Luna Lodge, a secluded eco-lodge, is set in the rolling hillside of Playa Carate, in the Osa Peninsula near the Corcovado National Park. Osa Peninsula is rich in bio-diversity and renowned as the premier eco-tourism destination of the country that attracts many tourists each year. Boasting a wonderful view of the Pacific Ocean and the rain forests, this lodge is situated on 150 acres of privately owned tropical wilderness. If you are seeking a place to enjoy a healthy and eco-friendly lifestyle, you will find this lodge perfect. 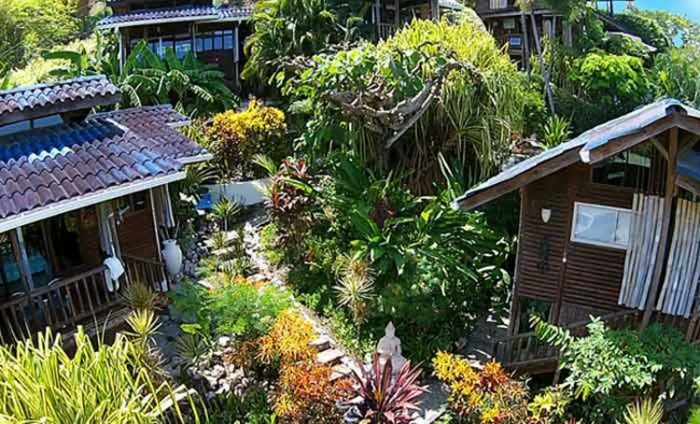 This eco lodge has its goal to make an environment that promotes the cultivation of a natural setting. While staying at this lodge, you will get the opportunity to observe the world as it is in its glorious and natural splendor.